The fall season is the ideal time to get your house ready for the upcoming cold weather – one should never forget to create comfort for the winter in advance. We have put together some tips for window maintenance during the fall that have to do with the technical side of things, cleanliness, and, last but not least, potential for energy savings. It all starts with top quality insulation. Inspect all parts of the house and make sure that the caulking and stripping is not damaged. 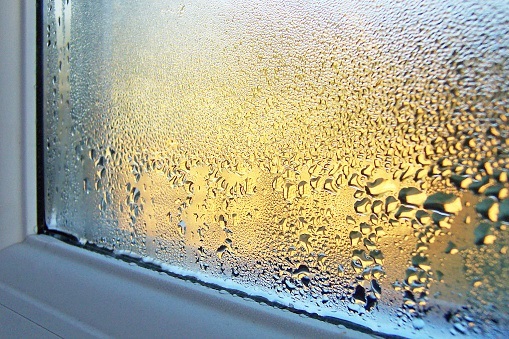 If necessary, replace it to prevent heat loss and the undesired entry of cold air and insects into your household. Various types of weatherstripping tapes and other materials do not only make your home more comfortable but also lead, if properly used, to significant energy savings during the fall and winter cold season. Proper installation of weatherstripping is essential, so do not hesitate to consult experts as needed. One important aspect is that the door should close without any difficulty – to achieve this, check and adjust hinges appropriately. Painting over weatherstripping is not recommended, as that would reduce the elasticity. Door frames and window frames should all be properly inspected and equipped for the season. Deciding on how to install vinyl weatherstripping on the door frame, as well as on the best options for each of your windows, depending on how often you intend to use them over the cold season, would be another discussion worthy of bringing in a dedicated expert. Don’t block the light from entering! Cleaning the windows comes naturally in the springtime, but is as important before the onset of winter. Keeping the windows, draperies, and blinds clean lets in more light and heat, while preventing condensation due to inadequate ventilation. Removing the insect-blocking nets for the winter allows for more light to enter the rooms while preventing condensation. Before storing the nets for the winter, be sure to clean them with a brush lightly dipped in dish soap – simply rinse out and let dry. These simple steps will be instrumental in keeping your heating bills low while improving the warm ambiance of your home. Are you planning on changing your doors and windows ? Remember, make any renovation until April 1st, 2017 and take advantage of the Rénovert credit tax. Contact us so that we can discuss about your project together.